these awesome old pipe cleaners I found at the resale shop + theresa’s post on cody foster and wondering how spun cotton ornaments are made + my current obsession with crazy vintage handmade ornaments = an oscar-free afternoon turning into a whirlwind of crazy ornament making activity! 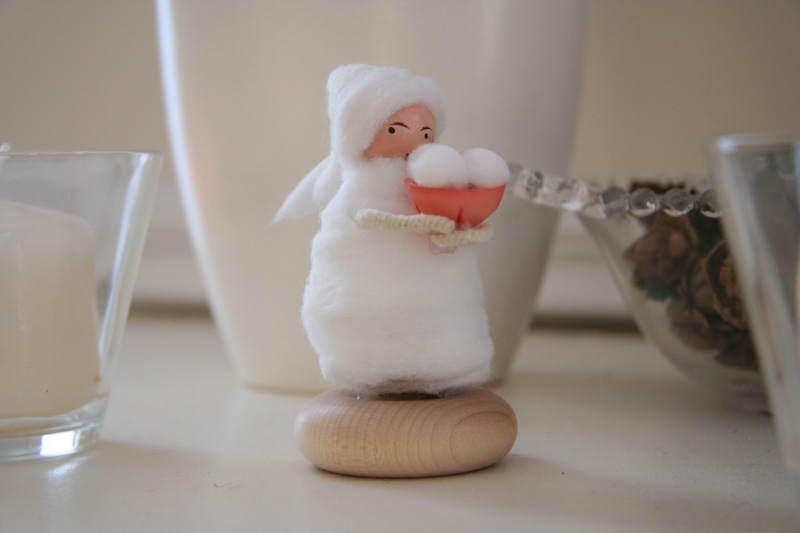 I unrolled cotton balls and used the strips of cotton to wrap up spools, wooden wheels, plastic eggs, anything I could find really and then glue gunned on little heads and buttons and birds, etc. so much fun! I could do this and only this for weeks and weeks but I have to force myself to put away the glue gun and get back to my christmas to-do’s. Ahhh, those snowballs in a button are too cute! 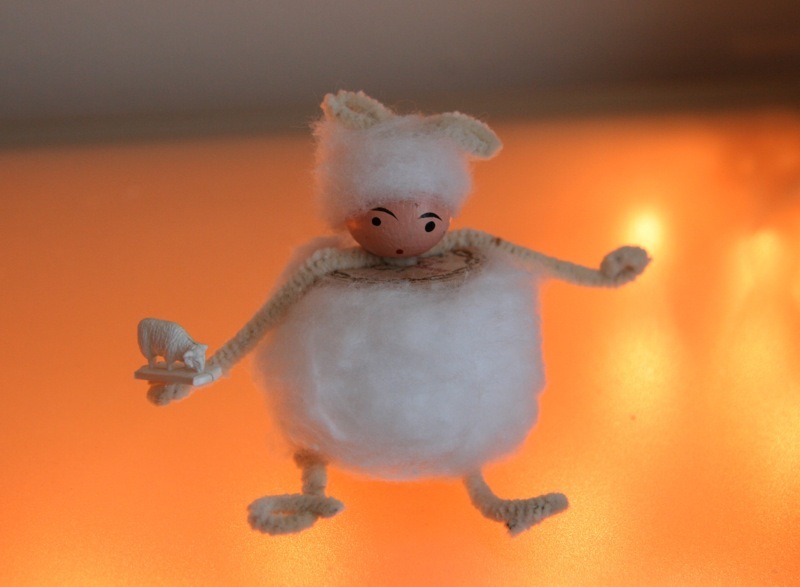 Love that first little sheep guy too. I’m loving the button snowball girl, that one is awesome! which craft store did you fing them at? where did you find such cute birds? these are just too cute! I remember them from last year. My only problem is that I can not stand the feeling of cotton and couldn’t bear unrolling it! Oh well, I guess I know where to go and enjoy these cuties. 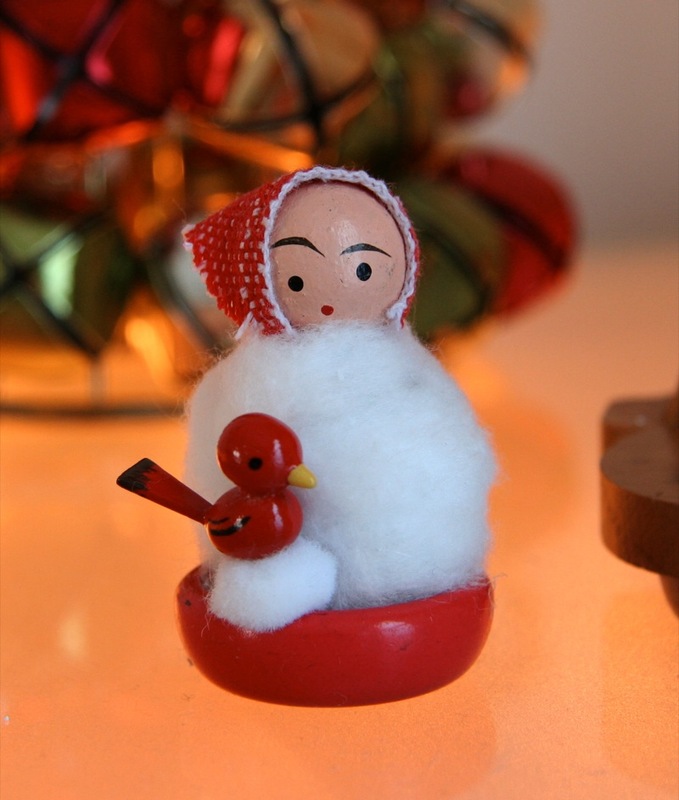 well, one of my christmas decorating traditions is now getting out my little “red bird girl”. I love these! 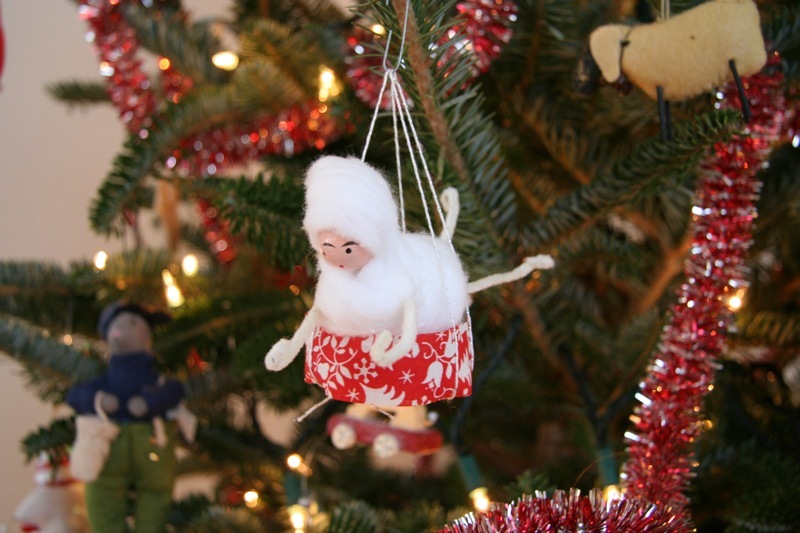 I own a vintage version of these ornaments — a pipe cleaner figure skater that was once my grandmother’s. 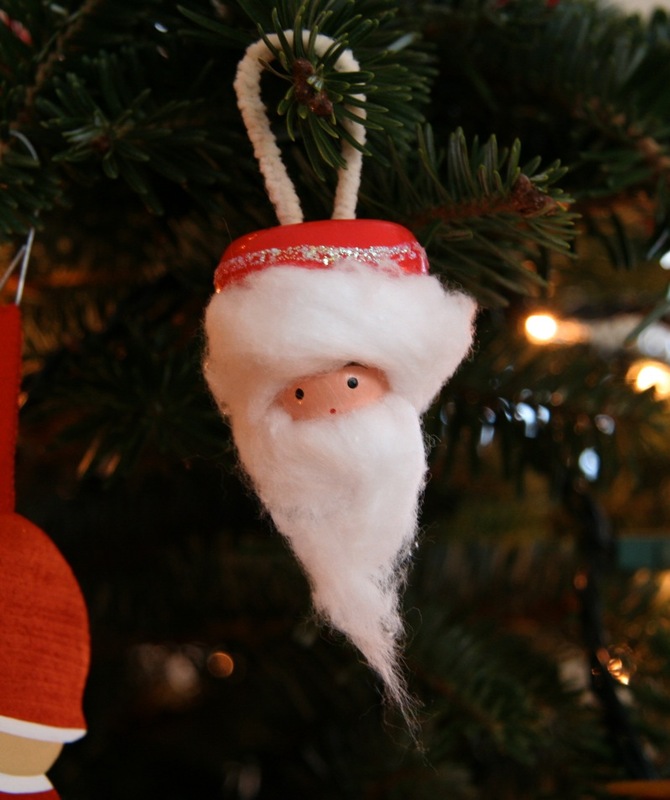 The ornament’s very sweet — and delicate. She gets a special spot on the Christmas tree every year. I also like to be able to put the decorations in the same place every year. It’s what my mom did. This year we have some new furniture though so I’m going to have to rethink things. as usual hillary, you are the bestest ever. i’ve been thinkin’ and thinkin about what to do for the gifts my kiddos will give to the grandmas & grandpas this year and these seem like the perfect little idea to do. yeah-thanks for this, I was just about to dig it out of your archives. . it’s golden. I love the little cotton ball kids! I just picked up a copy of Cutting Edge and your article is fantastic. I can’t wait to make the ornaments. Jingle head! Thanks for a good laugh. Hey, sorry about that lost link! I’ve posted a new one for anybody who’s interested in Cody Foster. Hopefully my posts are staying put this time around. unrolling cotton balls? this could get fun! they look fantastic….now, how to get a child-free afternoon? maybe they can be my official “un-rollers”. 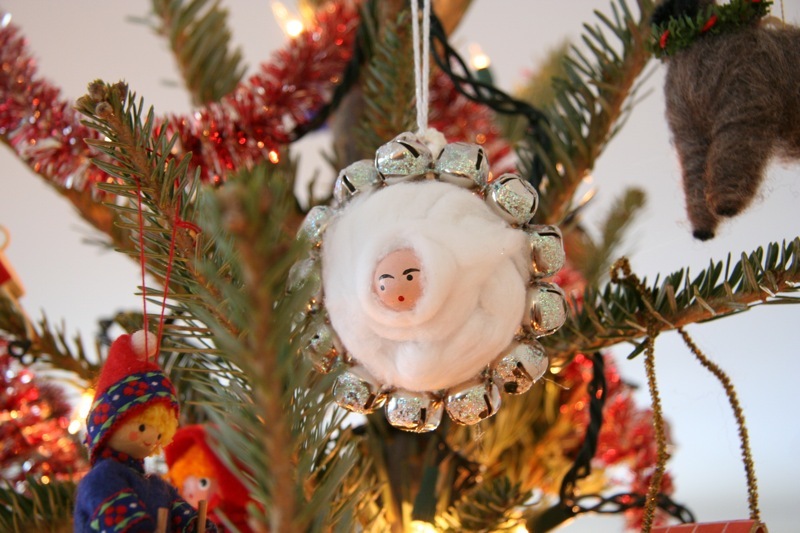 Oh, and I LOVE that sheep ornament hiding in the background of the last picture! 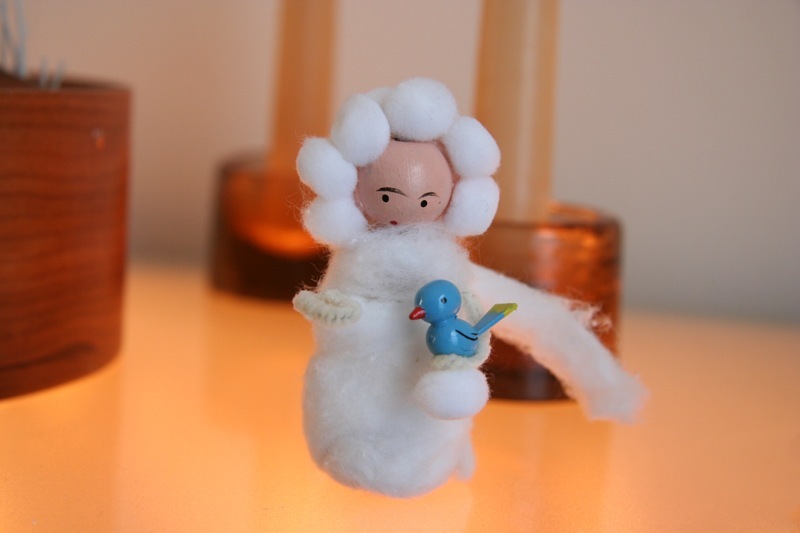 Where did you find the little sheep and birds? I love tiny stuff! 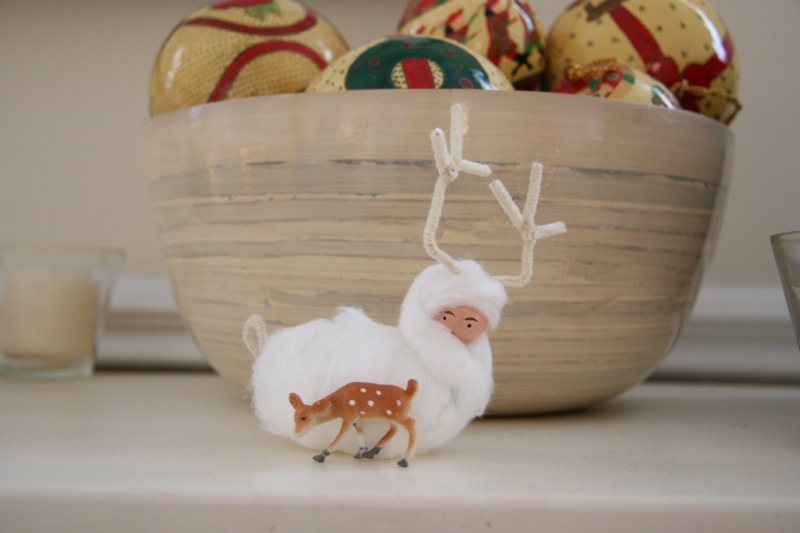 These little guys are one of my favorite projects that you’ve done! Love, love the little cuties. Those birds are SO fantastic! I must know where you got them – I think I’m in love!